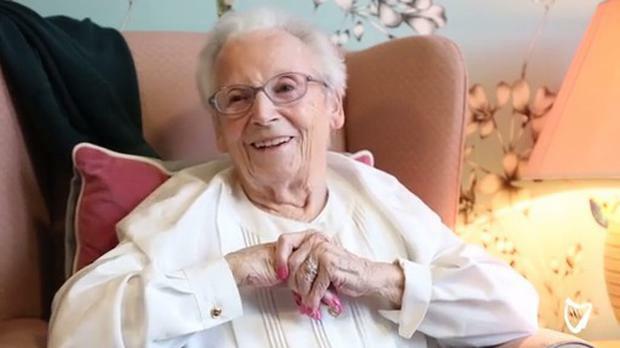 We spoke to some residents and guests of Kiltipper Wood Care Centre to get an idea of what Valentine's Day was like in their day. It would seem that things haven't changed much. For most, February 14 was enjoyed with a trip to "the pictures or a dance hall" but Valentine's card weren't really sent. As one man put it, "it's a lot of commercial nonsense". But for some of the women, it was the little romantic tokens of the time that they still hold dear to this day. One woman explained that she has a box of memories that she opens every now and then to look through, filled with cards she received over the years. They also agreed that when it comes to relationships, the most important things are respect and "consideration for each other".